If you are a full-time or part-time musician, it is to your advantage to belong to the only organization that truly represents the interests of musicians and performers. 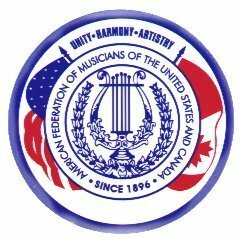 For a detailed explanation of the numerous benefits and services Local 116 and the AFM have to offer the professional musician, please read the Membership Benefits page. Also, check out the AFM Solution Series brochures as listed below. Once again, thank you for your interest, and we look forward to the opportunity to support you!